We've been hanging out with our insulated lunch bag from Dabbawalla Bags for a few weeks now. 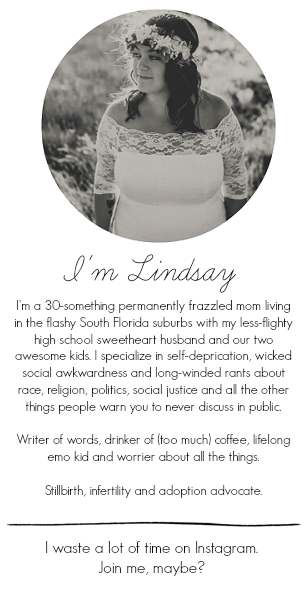 On the surface, it's absolutely adorable. 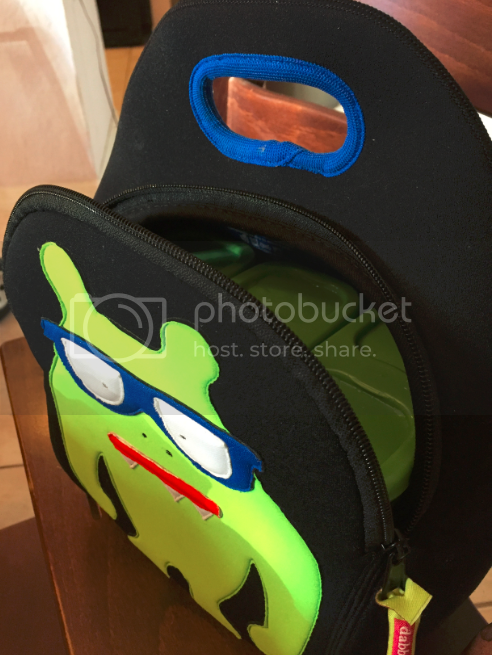 Ethan had a hard time narrowing down a design but ultimately ended up choosing this cute monster-with-glasses design and he always smiles whenever he sees it. How can you not? From a mom standpoint, these bags are super convenient. They're soft, lightweight and machine washable, the latter of which is a huge bonus for all of those instances involving drippy strawberry juices and other inevitable spills or leaks. 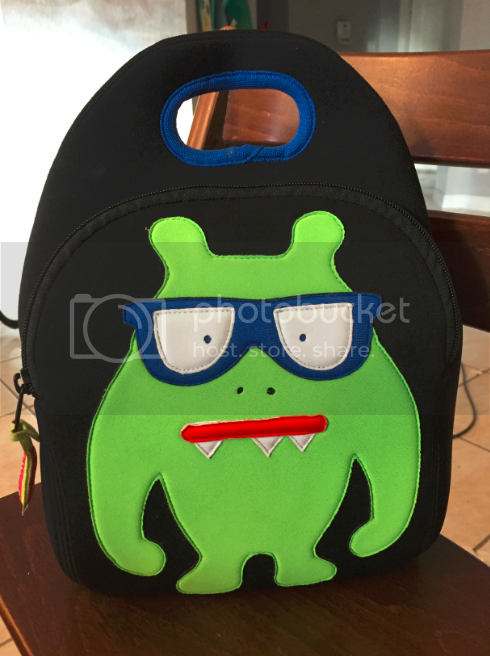 These lunchbags are made from a revolutionary foam material that is 100% non-toxic and degradable. The soft foam material is able to roll up when the bag is empty, making it ideal for storage in the home or in a backpack. The soft, sturdy handle makes it easy to carry even for the smallest hands and I -- from a lunch packing perspective -- love the interior mesh pocket which is perfect for water bottles, ice packs or loose pieces of fruit (we go through a lot of pears in our home -- they're Ethan's favorite food!). I love how much -- or how little -- these bags are able to hold. With most traditional lunchbags, your snack food slides around or gets crushed or you're really limited in terms of the size of your packed lunches. 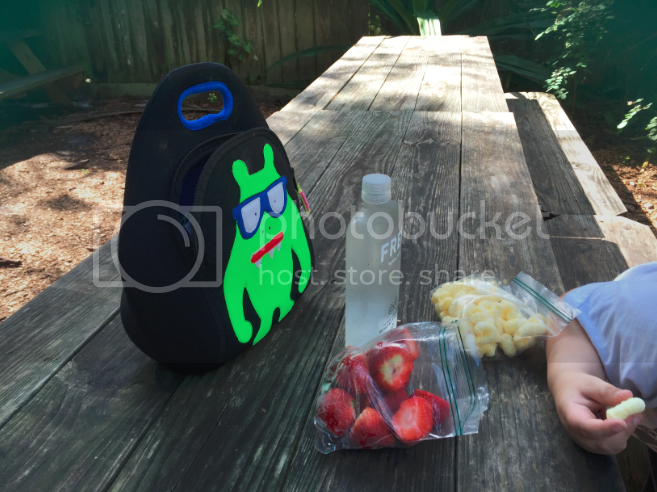 Even when we just throw in some bags of crackers, cheese or berries for an after-the-park snack, the food stays whole and fresh and Ethan's ice pack or water bottle stays contained in the mesh pocket. 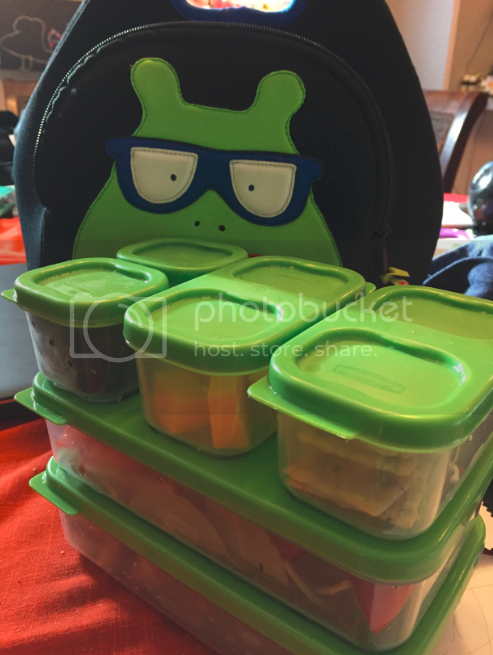 I am a bento fiend and as any bento-packing-mama knows, it takes a special lunchbag to get your child's lunch from point A to point B without the food sliding around. We've been using our Dabbawalla lunchbag daily. Sometimes, we just bring some snacks to the zoo or to the park. Other times, we pack actual lunches. 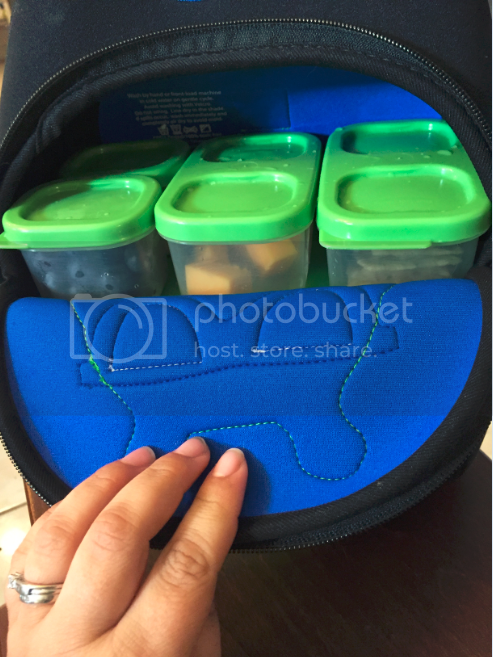 The foam expands and hugs your bento boxes so that once you arrive to your picnic destination (or classroom), your child's lunch looks the same as when you left the house. Here is our Dabbawalla bag holding my husband's entire work day lunch and snacks -- salad, dressings and all. 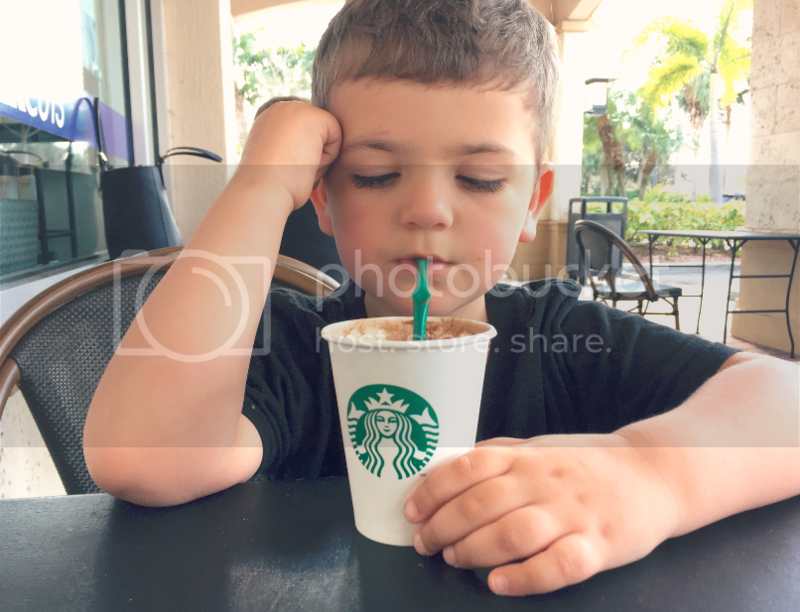 While Ethan's lunches aren't quite so expansive, I admittedly love days on the go. I'd much rather picnic in the park than come home for lunch. I also hate having to leave a playdate or somewhere Ethan is having a blast because I don't have a lunch made, so I love packing his lunches for those just in case instances. The Dabbawalla lunchbag is insulated and keeps everything cool and fresh. Four hours into our zoo trip, it was time for lunch and Ethan's berries and cheese were just as chilly as when we left the house. We are head over heels in love with our Dabbawalla lunch bag. It has brought the fun back into packed lunches and allowed us more freedom in our daily adventures. 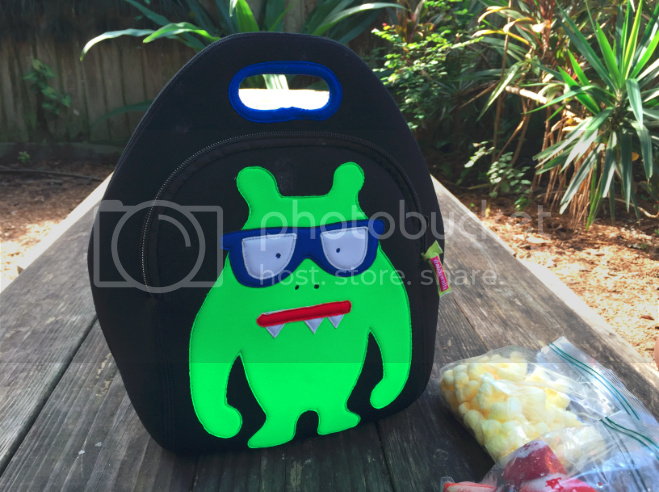 While I'm still in denial that Ethan will soon be five and starting Pre-K in the fall, I will quickly say that this will be the perfect lunchbag for the classroom -- and I'm sure he would love to pair it with a matching (and machine washable!) Dabbawalla backpack. 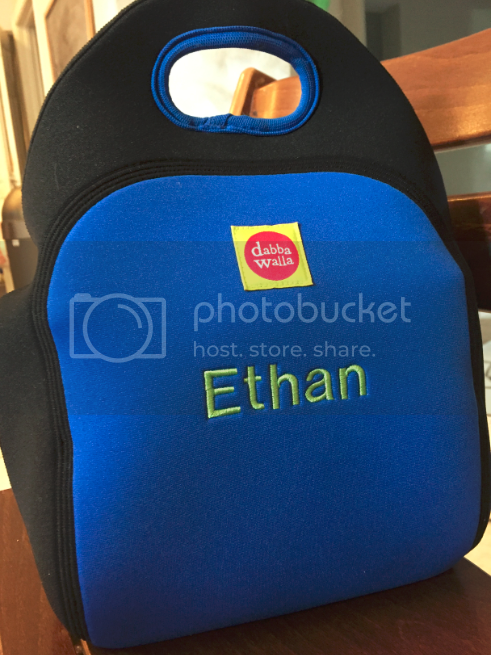 For Ethan, the option of having his name embroidered onto his lunchbag makes it even more special and even more especially his, and that's simply such a fun thing for a preschooler! You can check out Dabbawalla and their product line (which includes backpacks and other accessories as well) online at dabbawallabags.com. You can also follow along at @dabbawallabags on Instagram and Twitter and stay connected on Facebook, too!